… we had a fantastic trip to the USA instead! When I asked Margaret where she wanted to go on holiday in 2014 she said she hadn’t seen her friend Leise who lives in central North Carolina for many years, I replied that if we going to NC I’d like to do some pelagic birding trips out of Cape Hatteras. Margaret then said that she had never been to New York and I commented that I hadn’t been to Washington either and if we were going as far north as New York we might as well carry on to New Hampshire and try for Boreal Chickadee and Bicknell’s Thrush, a couple of birds that I had not seen on my previous visits to North America. Thus the stage was set for an epic journey that would last 24 days, take us through 11 States, the Capitol Territory and a Canadian Province, give us a chance to meet up with three lots of friends, get me six new life birds plus a ‘heard only’ and require 3,500 miles on the road. 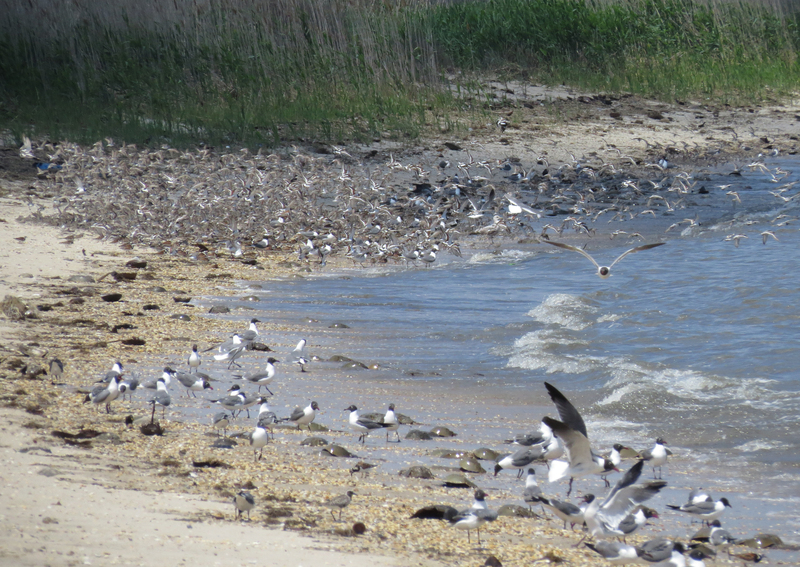 After landing at Washington Dulles airport our first destination was the Delaware coast where we enjoyed the huge numbers of shorebirds/waders and Laughing Gulls feeding on Horseshoe Crab eggs. The shorebird flocks comprised mainly of Semi-palmated Sandpipers with smaller numbers of Turnstone, Dunlin and Sanderling. 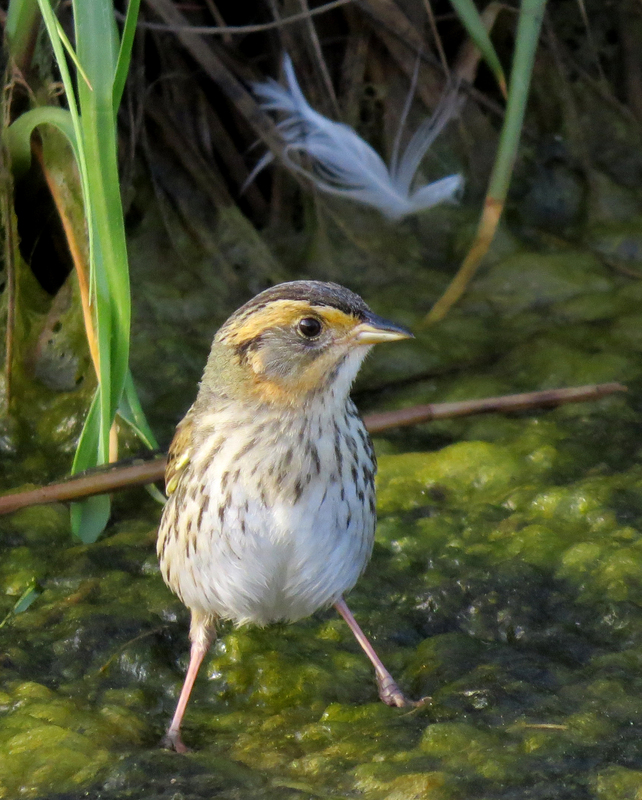 A real highlight of the Delaware coast was the sighting of a Saltmarsh Sparrow, a species endemic to the eastern coast of the USA and life bird for me. The bird was seen well at dusk but no photos were possible, however we were able to photograph several more on the coast of Maine at the end of the trip. From Delaware we made a 500 mile drive to Salisbury in North Carolina to visit Margaret’s friends Leise and Bob, whom she met during her sailing days. 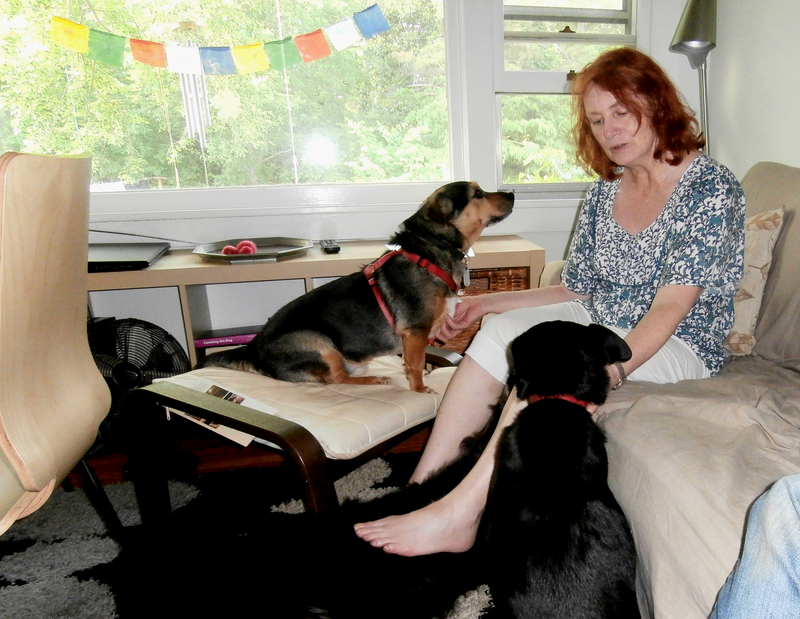 I got on very well with them but they have a house full of animals, which I find a bit daunting, as unlike Margaret, I’m not a ‘dog person’. 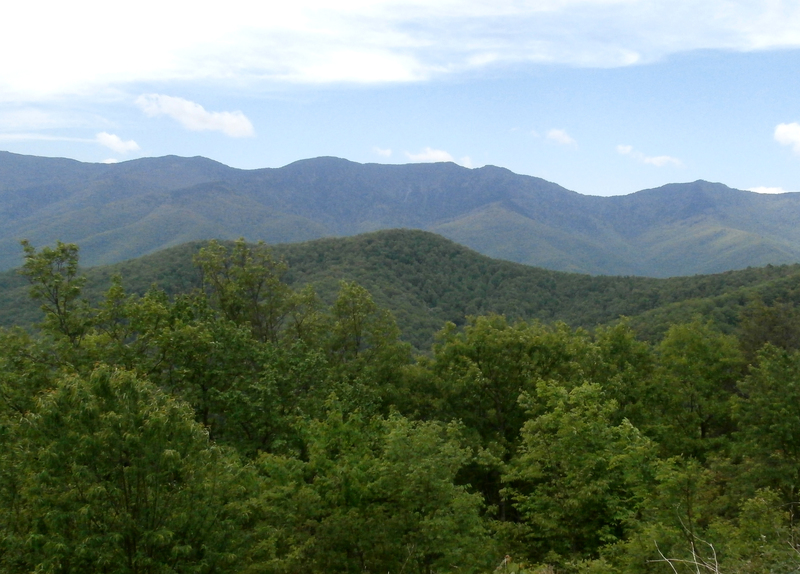 Whilst in Salisbury I did a bit of local birding and on the second day, Margaret Leise and I drove to the Appalachian Mountains. Whilst it was a glorious sunny day and the scenery was great, I didn’t see many birds, probably because, this far south the breeding season was already well advanced. Another day was spent driving to to Outer Banks, a series of offshore barrier islands connected by bridges (or ferries) where we spent four nights. 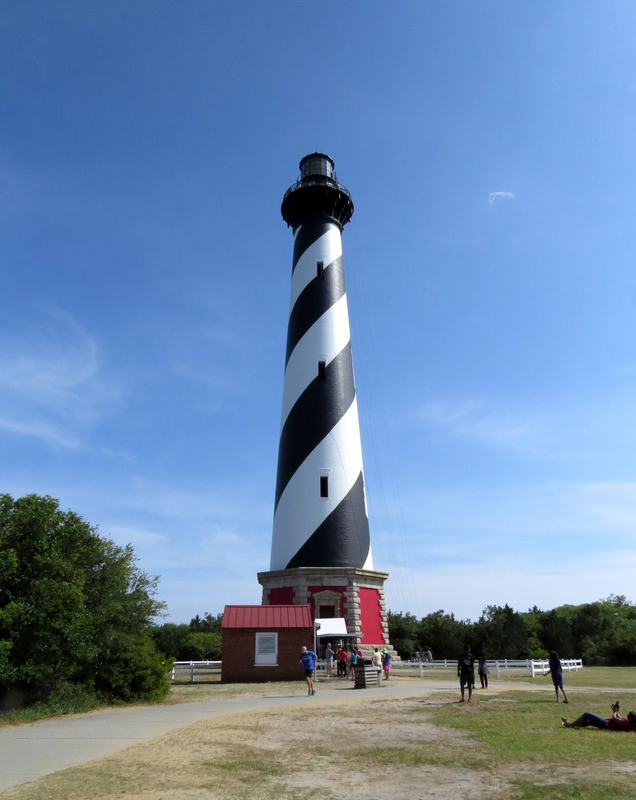 This is the iconic lighthouse at Cape Hatteras. 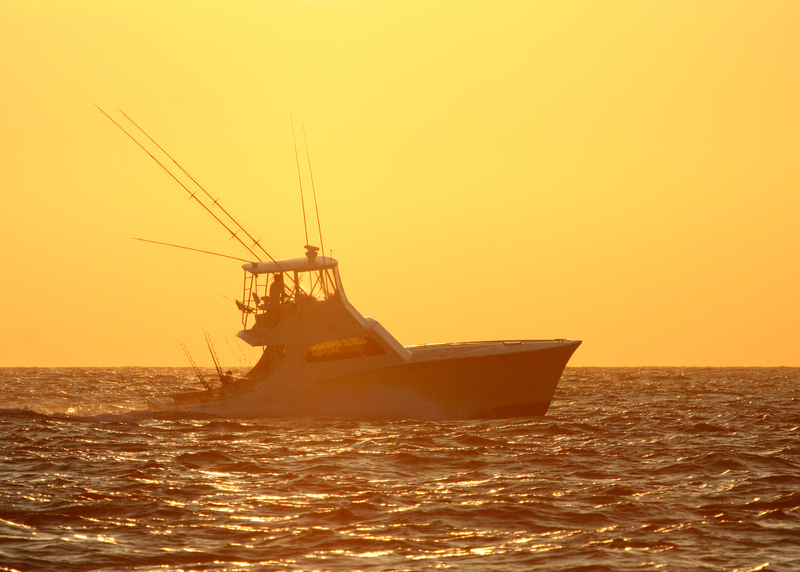 At dawn each day a flotilla of sports fishing boats leaves Hatteras harbour and at this time of year one of them is full of birders. 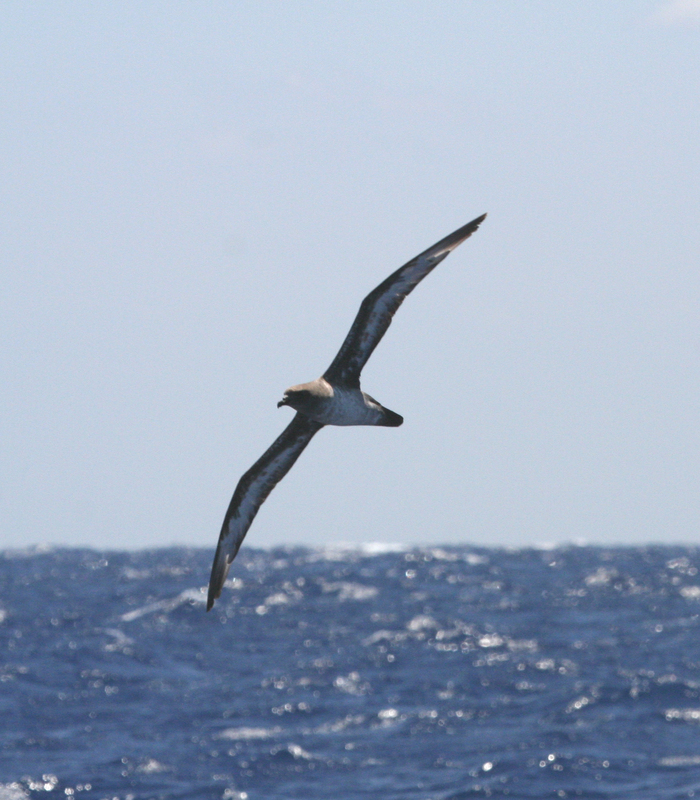 The proximity of the Gulf Stream makes this the premier destination the eastern USA for pelagic birding. As we approached the Gulf Stream the sea temperature rose from 17 to 28 centigrade in a very short distance. We immediately started seeing a wide range of seabirds such as this Black-capped Petrel, several of which were around the boat for most of the seven hours or so we were out there. Seeing this bird has a particular significance for me as it is on the British List and one of my ambitions is to see every bird on the British List somewhere in the world (just five to go). 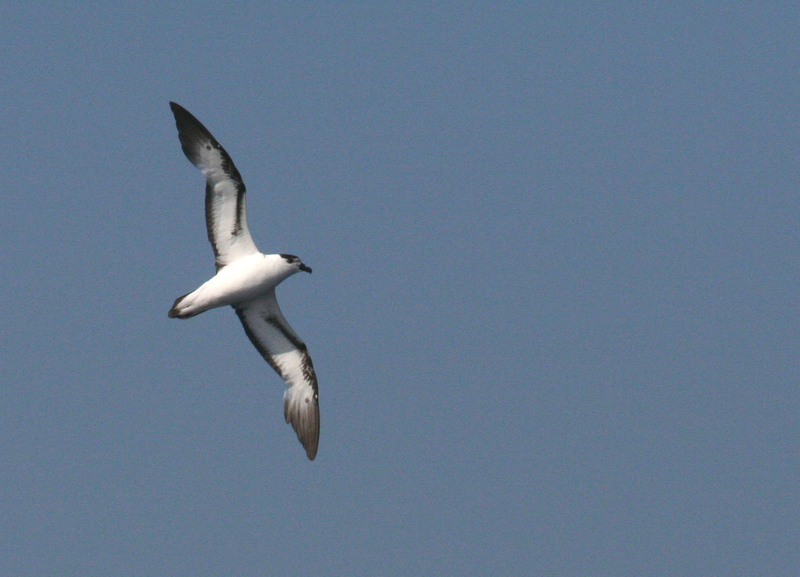 Seeing Black-capped Petrel was expected but the sighting of this Trindade Petrel (which breeds on islands off Brazil) was not. At least two different birds visited the chum. As can be seen from the horizon in this photo it was a fairly rough day caused by the stiff northerly wind colliding with the strong north bound current. 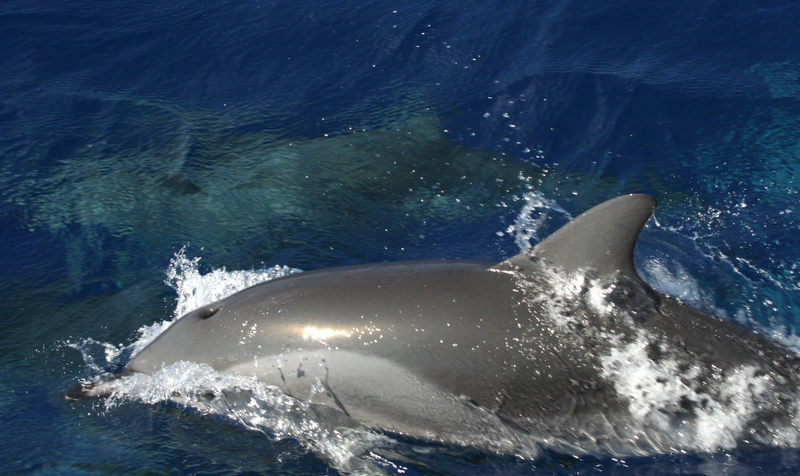 Perhaps the most unusual sighting was a pod of Clymene Dolphins, a recently described species, which has only been seen two or three times on these pelagics. The day between the two pelagics we teamed up with local birder Jeff Lewis, who took us to the Alligator River reserve on the adjacent mainland. 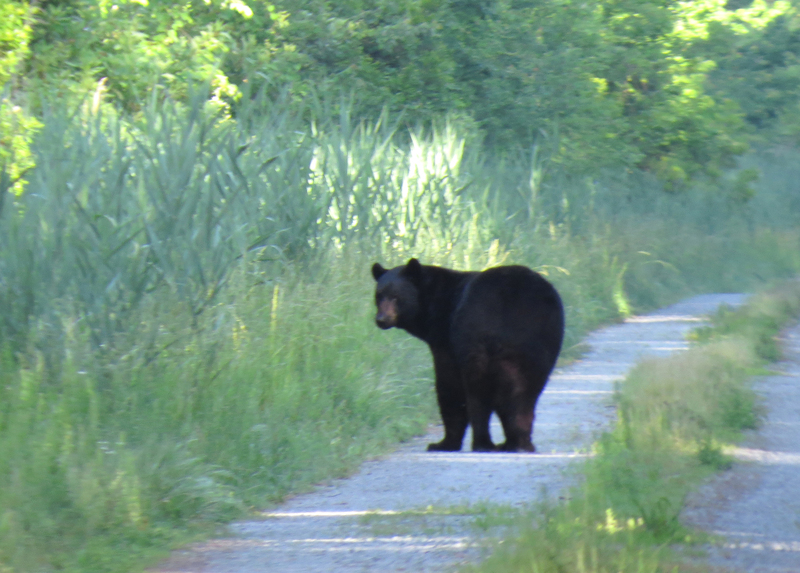 As well as a nice range of birds we had stunning views of four Black Bears. After some final birding in North Carolina we headed for Washington where we were to stay for four nights with James and Pam Higbie. I met James in Mexico earlier this year and he kindly invited us to stay. Whilst in DC we visted all the major attractions and four different sections of the Smithsonian Museum. 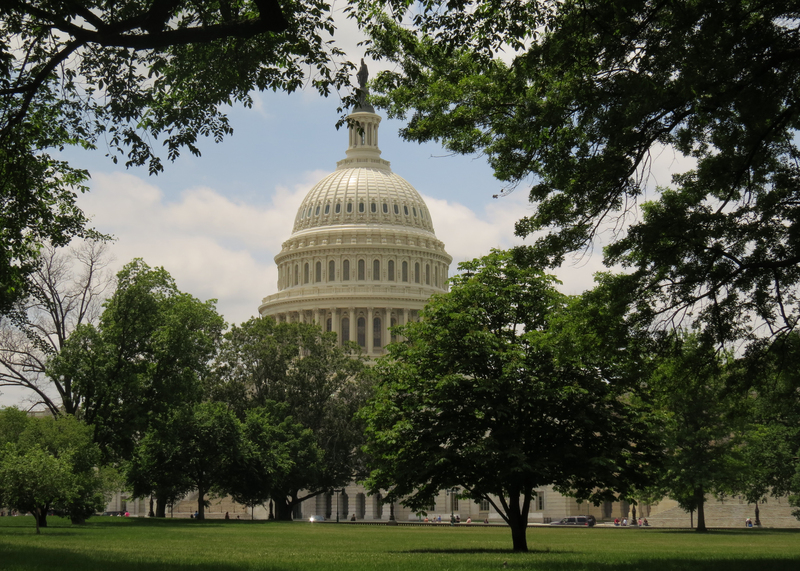 We were also able to get tours of the Capitol Building (above) and the White House. No visit to Washington would be complete without a visit to the many war memorials along the National Mall. 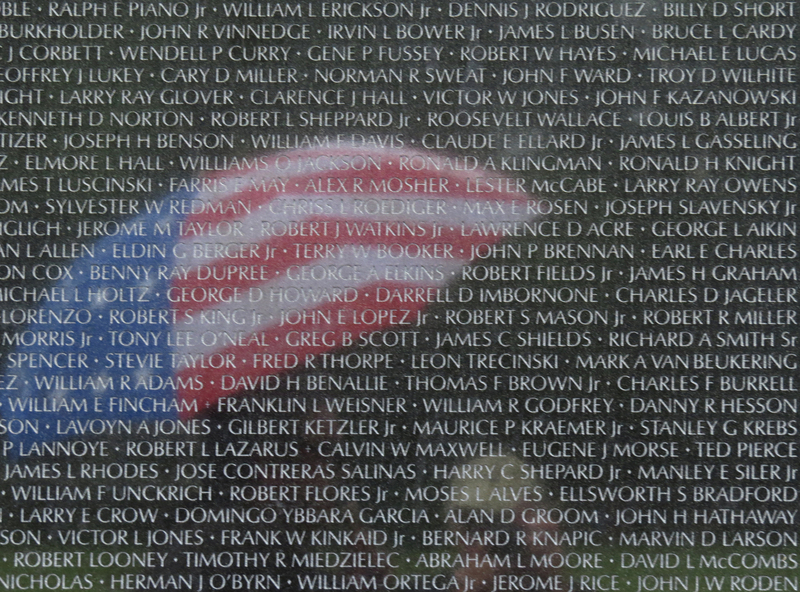 Whilst any memorial to those who gave their lives is poignant, seeing this Stars and Stripes umbrella reflected in the polished surface of the Vietnam Wall, was particularly so. From Washington it was a half day drive to New York City where we spent nearly three days. 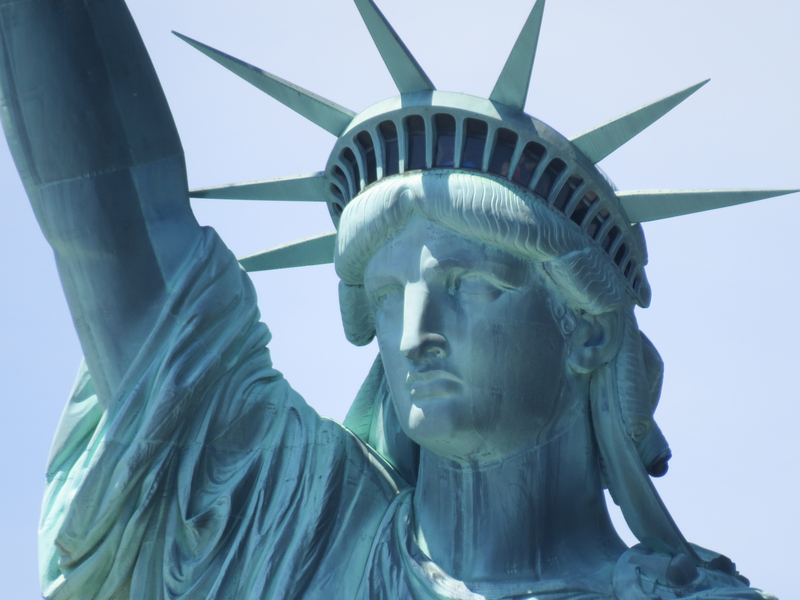 A guided tour took us to all the major sites including a boat trip to the Statue of Liberty. 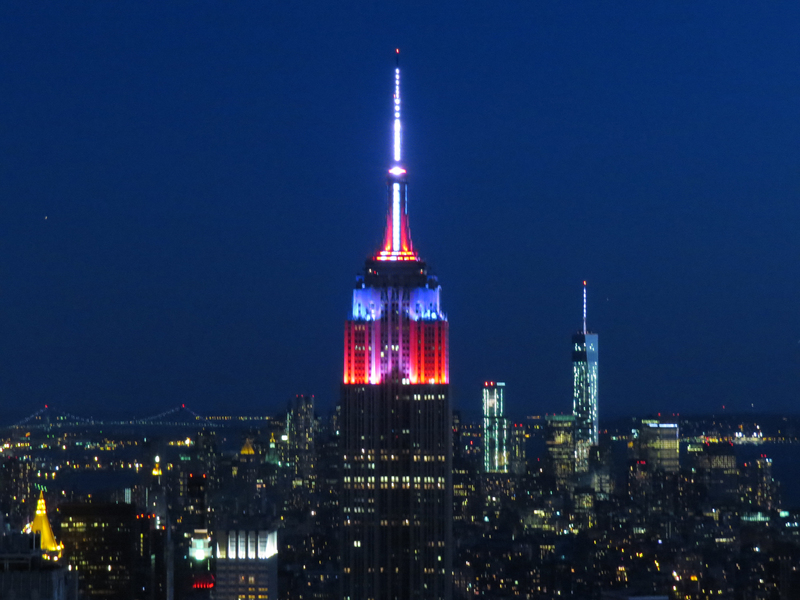 I went up the Empire State Building, but even more impressive was a visit to the Top Of The Rock at the Rockefeller Building at dusk, mainly because the Empire State dominates the view. we also met up with our friend Patty in New York and visited several museums and other attractions. Patty offered to take us to her ringing (banding) site in Connecticut, but the weather looked like it was on the turn so instead we headed north to northern New Hampshire. 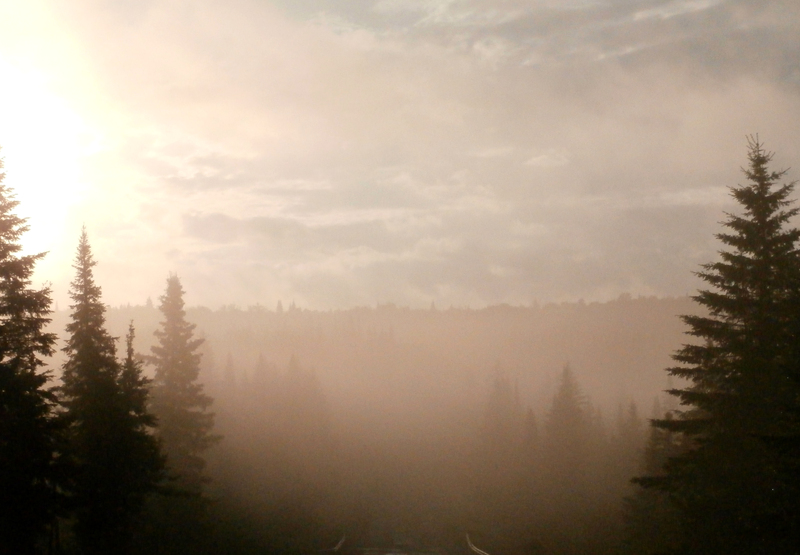 Bad weather did follow, this early morning mist was photographed a few days later. We stayed in three places in New Hampshire and even managed a visit to Quebec Province in Canada. 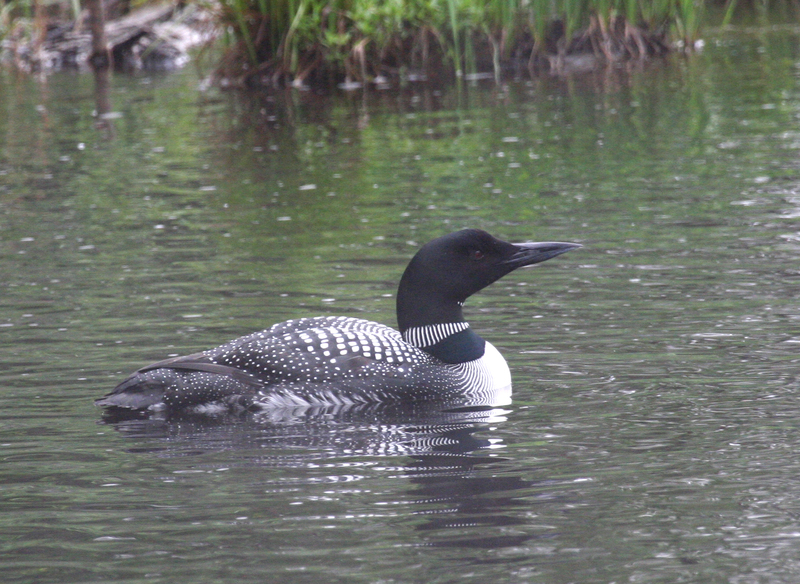 Great Northern Divers (Common Loons) frequent the lakes in the area and can be heard giving their evocative calls in the early morning. 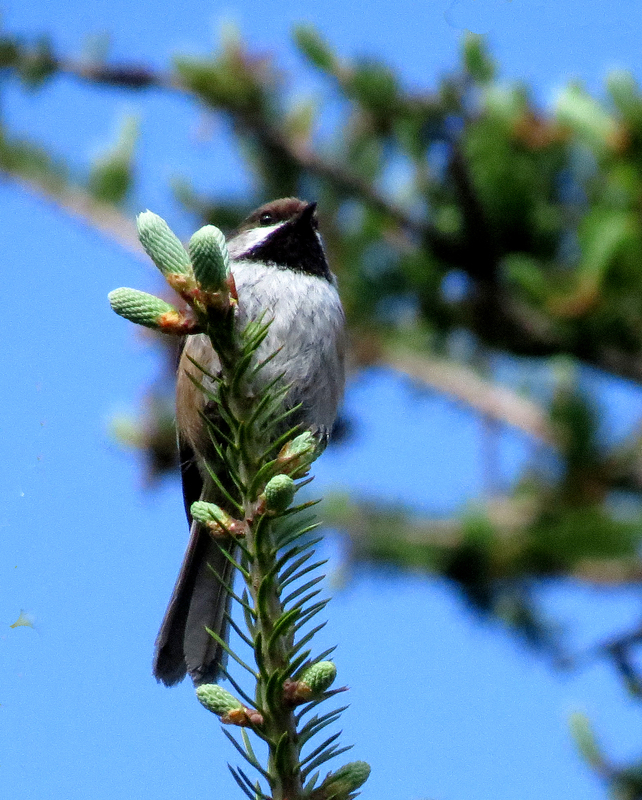 My main targets in New Hampshire was the attractive Boreal Chickadee. I saw it in three locations, the first being the parking lot of the motel! 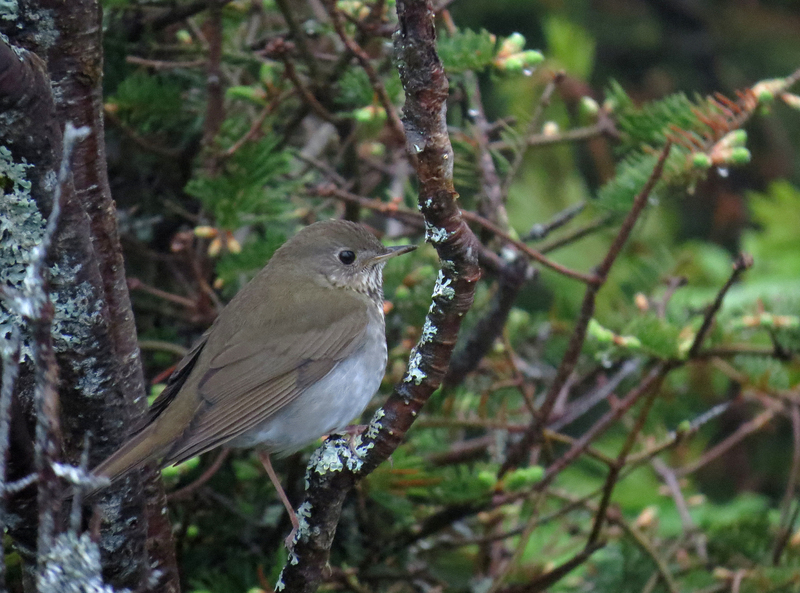 My most wanted bird was this Bicknell’s Thrush, which required a 0330 alarm call, a 40 minute drive and an hours hike up a steep path. The views, when they came were exemplary, making the effort more than worthwhile. Restricted to the highest mountains of the north-east states and adjacent Canada, this is a bird that requires a special effort to see. 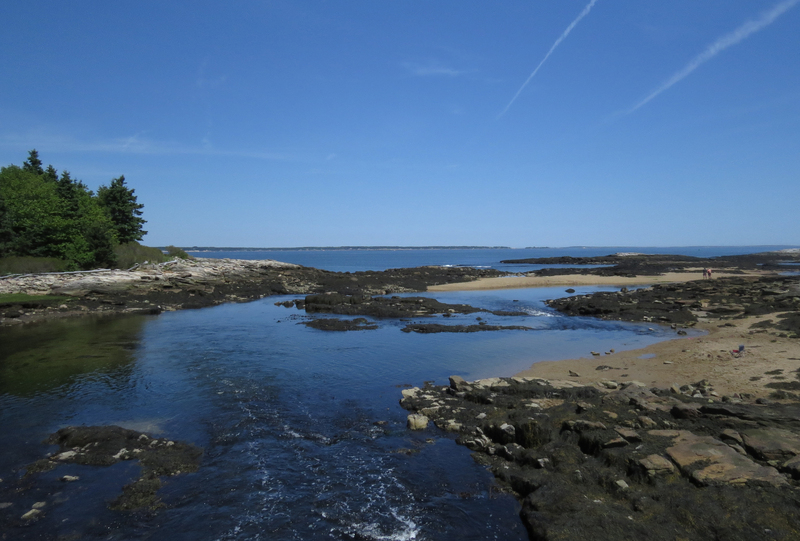 After a drive up the scenic Mount Washington to the Alpine/Arctic zone we ended the trip with a visit to coastal Maine. Here amongst rocky bays and saltmarshes we saw Black and White-winged Scoter, Bald eagle and Saltmarsh and Nelson’s Sparrows. We flew out of Boston on the evening of the 9th completing a very full, varied and interesting trip. This is just an outline of the holiday. I am rather busy for the next few weeks but when time allows I will upload more photos from this very photogenic trip. Am I sorry that I missed Dorset’s first Short-toed Eagle that occurred near to our house whilst we were away – yes. Would I rather see the Eagle than all the things we saw in America – absolutely not. It isn’t the first and certainly won’t be the last Dorset mega that I miss by travelling abroad.